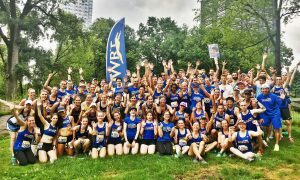 The Dashing Whippets Running Team (DWRT) is an amazing New York City-based running team, driven by the diversity of its members. I love being a Whippet! I’m surrounded by incredible athletes who unconditionally support one another in achieving big goals. 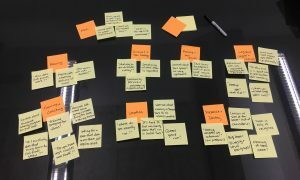 In the past few months, I’ve been working with the committee to incorporate design thinking methodologies to improve our membership onboarding experience to increase conversion, and wanted to share a glimpse of this process. Last summer in August 2017, I joined the Whippets because I hit a wall in my marathon training. A former college cross country teammate on the team convinced me that running with the Whippets would elevate my training to the next level. He assured that I’d have the best teammates who would hold me accountable (spoiler: he was 100% right). Initially, I had reservations because I didn’t feel qualified to compete under their name. As I learned more about the team, however, I felt like it could be a great fit for what I was looking for. Fast forward to after the TCS New York City Marathon in November (shameless brag: I had a great debut marathon race! ), I was brought on the committee to help out with the team’s website UX. I was excited to work on this project because (1) I love UX and I love running so it was a no-brainer, and (2) I wanted more runners out there to experience what I did: joining an outstanding running team that prepared me to run the best debut marathon I could ever ask for. The Whippets have come a long way since it was founded in 2009. 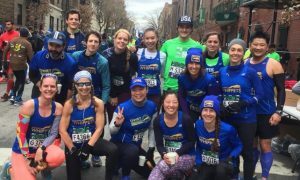 It has grown to be one of the biggest competitive teams in New York City with a membership base of over 800 runners at any given time. There is even a budding Boston chapter with around 300 members. Over the years, the team has supported countless athletes race their first 5Ks to qualify for the prestigious Boston Marathon. It’s hard to imagine what pain points there are in a team that has accomplished a lot in such a short amount of time but no matter how much a community scales, there are always challenges. So what challenge should we address with UX? How do we go about finding the biggest area of opportunity? This is where design thinking comes in. It’s a human-centered problem solving process, popularized by the design firm, IDEO. This process helps stakeholders contextualize the product (in our case, the Whippets community), identify and validate needs through research, test solutions through prototypes, analyze findings and feedback, and finally implement and iterate. I start every design project by defining what a successful outcome looks like. From there, I could begin to ask questions like “What problem do we want to solve? What is our timeline? What are the tangible ways we can use to measure success? How do we measure membership growth? Does that mean increased membership or overall improved performances?” The goals for this project should align with the running community’s pain points and the team’s biggest needs. Our primary goal is to improve the new member onboarding experience to increase conversion (currently at about 30%). We want members to go through their trial, enjoy training with the team, and eventually race under the team name. The timeline for this project is to officially start on January 1, 2018. People are likelier to join in the beginning of the year to live up to their resolutions. There was also the United Airlines NYC Half in March that many people were training for. We’ll monitor members who join the team on the 90-day free trial through April and May (approximately when their trials expire). From there, we’ll continue with membership development efforts, but prioritize synthesizing findings and work on the website’s information architecture and content strategy. During this project, we’ve used different terms to refer to the same thing. For the purpose of this recap, I’ll use “product” to refer to the team as a whole. “Potential users” would be referring to runners who are either interested in joining the team or have already joined as 90-day free trial members. “Users” or “members” would refer to those who have converted to the team’s dues model. Right off the bat, an initial analysis of the website reveals a few heuristics that are violated. There’s tons of great content but they’re scattered and it takes some effort to find the information needed. It takes a lot of cognitive effort to recall where things are because the navigation and IA isn’t intuitive and doesn’t reflect users’ mental models. Some of the information and photos are outdated. There are some inconsistencies in the language and visual aspects. There isn’t a clear CTA (call-to-action) on the landing page above the fold. But perhaps the most important one to pay attention to is the biggest discrepancy between the system and the real world: the website isn’t reflective of how great this team is and I wanted us to work on improving the digital presence of the Whippets. We want to portray ourselves as a welcoming and inclusive team that trains competitively to help meet every runner’s goal, whether they race at a 5:30/mile or 10:30/mile pace. Most importantly, we want the human factor to shine. I can speak from personal experience that people on the Whippets are the kindest and most supportive teammates. They’re so thorough when it comes to my training-related questions and provide me with a lot of applicable advice. They care about my well-being so they’re always encouraging me to sign up for group runs and socialize at brunch after races. There’s nothing more valuable than “selling” that sense of assurance and excitement to potential members. In order to find actionable areas of opportunities, I started out by mapping the current membership onboarding flow. In Laura Klein’s Build Better Products, she walks through how the user lifecycle funnel helps understand the stages potential users go through to convert into a retained, long-term user. This process help me see how and why potential users engage with the product and the points potential users might abandon the path. Onboarding starts when people discover the existence of the product. A majority of potential users discover the team in one in three ways: (1) through a friend referral, (2) NYRR events (races, club fairs, and images of us on their website, etc. ), and (3) by browsing Meetup.com. From there, they join the group on Meetup, which offers a free 90-day trial to test out the team. The Meetup group offers potential users access to RSVP for group runs and see who else is attending. If they like it, and when their free trial ends, they’ll pay $30.00 in annual membership dues and continue to train with the team. Unfortunately (or fortunately, depending on how you choose to look at it), it’s not this simple and there are many potential points of friction in the onboarding process. 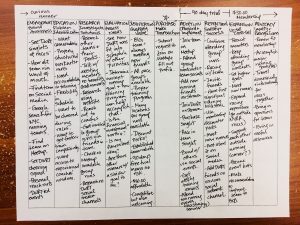 In this part of the process, we can begin to develop our assumptions about each user group’s pain points at different stages in the life-cycle funnel. We brainstormed all the possible reasons and ways that potential users abandon engagement with the product at each stage. Some runners think they’re too slow to join because the Whippets are known to be fast and competitive. They’re afraid of not being able to keep up. They see us at races and think the team is clique-y and unwelcoming. We don’t run in locations or at times that are convenient to them. The training programs are too aggressive and advanced. They don’t realize it can be scaled. They’re hesitant to join group runs because they don’t know anyone yet. They don’t know the level of commitment they need to put in. * As active members of the team ourselves, we know these assumptions aren’t true but it’s important to know what they are so we can in/validate them later in the process. 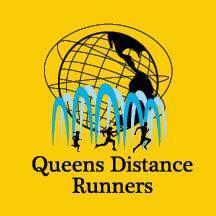 Queens Distance Runners (QDR): I see QDR as a tight knit running family. 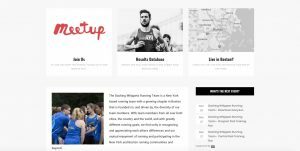 A popular Queens-based running team boasts a diverse range of runners and are united by the love for the sport. They have strong turnouts at races and a very recognizable uniform so they’re hard to miss. Their onboarding requires interested runners to fill out an online form, embedded into their site. I like how their membership page has all the information that users need and addresses their biggest concerns: membership dues (it’s free! ), their mission statement and team vision, membership benefits, and top 3 FAQs. I also like that they are involved in the community and give back outside of running. Front Runners New York (FRNY): FRNY is a solid running team for athletes who identify as LGBT and LGBT allies. Their website has a clear CTA of “Join Front Runners!” but, it leads me to another page with another CTA and that’s a bit confusing. They have different membership tiers that offer a range of benefits. Similar to QDR, joining their team is also done through an online form. I’m not sure if I would put the membership payment as the first step in the onboarding flow. But A+ for their inclusivity efforts by offering more than male or female as gender identity options. I also appreciate how their weekly training schedule is easily findable on the landing page. Their site is visually pleasing with bold colors and photos of all types of runners. These points convince me of their inclusive community! 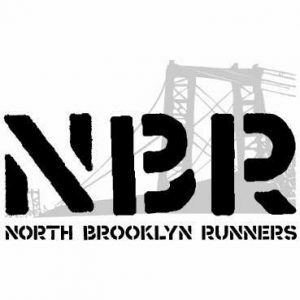 North Brooklyn Runners (NBR): They’re a North Brooklyn-based running group that supports the community meet their fitness goals. They use a Google form to request an invitation to their Google group. I really like how thorough their form is. At the beginning, they give a clear sense of timeline by saying, “It may take a few days before you receive an email invitation to our Google group, but please be patient. We’re on it!” In addition, the form requires potential users to sign off on the code of conduct and liability waiver. I do think that for someone who just wants to test out different teams and see if they could build rapport, the Google form is a bit too much. Just like FRNY, I also like how their training schedule is easy to find on the website. In January, the New York Road Runners (NYRR) hosted a Club Fair in conjunction with a bib pick-up for the Fred Lebow Half Marathon race. 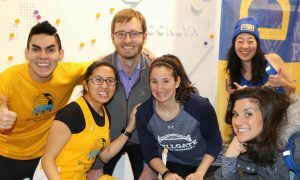 This event gave NYC’s running teams a platform to recruit members and give runners an opportunity to learn more about clubs. I went as a Whippets representative to promote our team, of course, but also to learn about the running community’s needs and see how our team could help them. This was a great opportunity to conduct some guerrilla interviews, which are short Q&A sessions with users. It proved to be a quick and easy way to gather sufficient insights to inform the next steps for this project. The club fair setting works kind of like speed-dating, where people come to our booth and goes to the next in matter of minutes. I had to make them count and got useful feedback to bring back to the team. How have you kept yourself accountable during your latest training cycle? Walk me through a typical training week. What are your top three priorities when it comes to picking a running team to join? How do you fit in running with your other obligations? What’s missing in your training right now? The NYRR Club Fair worked out perfectly with our project timeline because many interviewees were training for several of NYRR’s hallmark races like the United Airlines NYC Half in March, Popular Brooklyn Half in May and the TCS New York City Marathon in November. Now it’s time to analyze at the feedback and look for patterns. There was no shortage of preconceived notions and assumptions from potential users. I validated the assumption that many steer away from joining us because they’re not fast enough, something I was personally concerned with as well. Some went a step further and chose not to join because they thought their slowness would bring the team down in Club Points races. I reminded them that a lot of Whippets did not start where they are at today – a lot of long-time members were racing 9:30/mile marathons and took several years to get their BQ. People also asked about what the commitment entails. This was good feedback because it was something that kept coming up in committee discussions as a concern. Some questions in this area included: Is there a minimum number of group runs I need to attend? Do I need to maintain a certain pace or race times to stay on the team? Finally, a lot of potential users asked about what we do as a team, both on and off the road. Socializing and networking seemed to be really important for them as they look for a running team to join. I shared that we usually post-race brunch together, especially for Club Points races, we have bi-annual parties to celebrate accomplishments, we have expo trips and team hangouts, and volunteer opportunities. Our team has so much talent so I also shared that people rely on each other for their career development and support in that area as well. The design thinking model is a powerful tool in helping us gather more in-depth insights about our potential members. The research from the first part of this project gave us a lot to work with to inform the next steps of this project, which is a campaign that focuses on membership development and will be outlined in the next post. Running has many subtle nuances so it’s important to continue collecting feedback to better understand their pain points and what motivates them to look for and join a team. Check back in a few weeks for the second part of our membership development series!